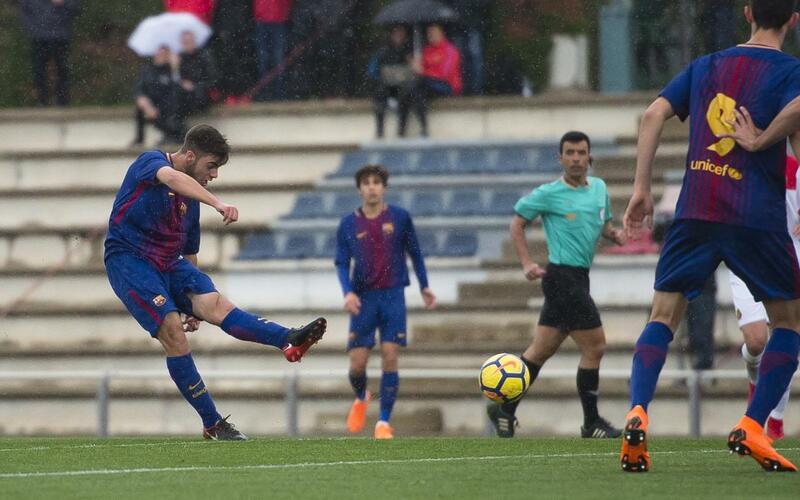 Barça U19A end their league campaign in the best possible way: with a comfortable win against Mallorca at the Ciutat Esportiva Joan Gamper. The goals arrived from Miranda and Martí from two powerful shots. Barça started to take control of the game early on and they had some chances to score the opener through Nils Mortimer. The first goal arrived from a spectacular Miranda volley. Two minutes later, Martí doubled the lead with a shot from the edge of the box (2-0). Despite a series of chances to score a third, the teams went into the break with that scoreline. The second half didn’t bring any other goals even though Mallorca tried their hardest to get a goal back. Barça’s defence were resolute and they protected a win they had secured in the first half. With this win against Mallorca, the champions finish the league with a bang. The U19A had to fight hard to win a tough league. García Pimienta’s side are champions and they are turning their attention to the Final Four of the Youth League.